On installing a new iOS update, ‘Out of Storage’, ‘Insufficient Storage’ or ‘Not Enough Space’ kind of pop-ups are experienced by every user sooner or later. And how much this message annoys us can be understood to all. After all, we can’t stop ourselves to capture those beautiful views when we travel somewhere, those memories or moments or even we take full delight in clicking those random selfies. And doing all this, we don’t realize when and how our device’s storage (that initially seems too much) is filled unannounced. Does this happen to you too? Well! There is a new iOS 11 update is released nowadays which also be demanding space in your device. So, we are giving some tips through which you can free up space for iOS 11 update. Well, iOS 11 update is undoubtedly the best of the firmware so far and has many new features but before installing iOS 11 make sure you have enough disk space available on your iDevice or you may not be able to upgrade your device’s firmware to iOS 11. Now, the question pops up, how much disk space for iOS 11 update is required? Since, iOS 11 update size is different for different iDevices, the required space for iOS 11 update is not certain. But for an estimate, an iOS 11 update requires around 1.9 GB of storage space and around 1.8 GB extra executional space to install the iOS completely. Thereby, an expected disk space requirement comes out to be of at least 4GB before upgrading to iOS 11. As of now, we’ve have that the iOS 11 upgrade is huge in size, make sure that your iDevice is connected to a WiFi while downloading it to maintain better connectivity. Another way around to update your iDevice’s firmware to iOS 11 is via iTunes. You have to manually download the iOS 11 IPSW restore image file, sizing about 2.9 GB, from the Apple Developers website and flash it to your iDevice via iTunes. If you wish to know how to create some disk space on your iDevice for iOS 11 upgrade, follow the convenient guides and tips below. Preparing your device for iOS 11 update and trying to free up space for iOS 11 update? Then you’re at the right place, the very first step to free up disk space on your iOS device is to collect “information” about your device. “Information” here refers about knowing, what’s consuming space on your device. 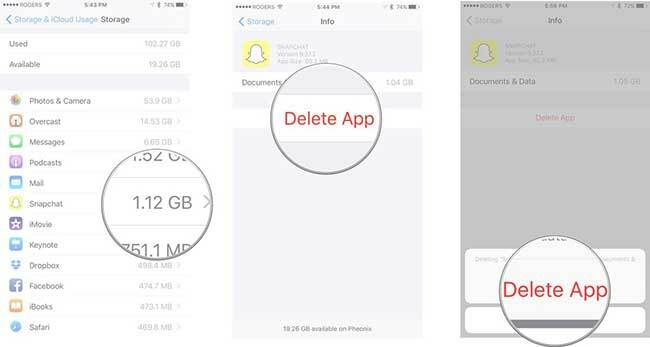 Follow the steps provided below to check what’s clogging the disk space of your iDevice or how much space is still available for storage. Get into the “Settings” app of your iDevice. Tap on the “Storage & iCloud Usage” option. Lastly, hit “Manage Storage” and there you’ll see every app with the information of consumed disk space by it. 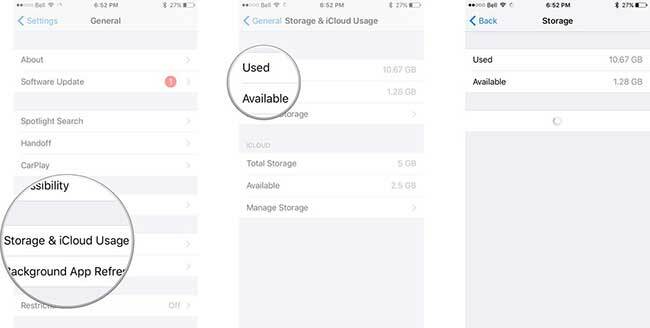 Head back to the aforementioned Storage Management section under “Storage & iCloud Usage”. Next, tap on the app you wish to delete and hit “Delete App” option. You’ll be prompted for a confirmation, hit on “Delete App” again and it’s done. Messages are a great to stay connected with everyone, right? But these messages do consume a good amount of space on your device. The “Messages” app on iDevices, by default, automatically downloads and saves videos, stickers, gifs and other multi-medias shared with the contacts. 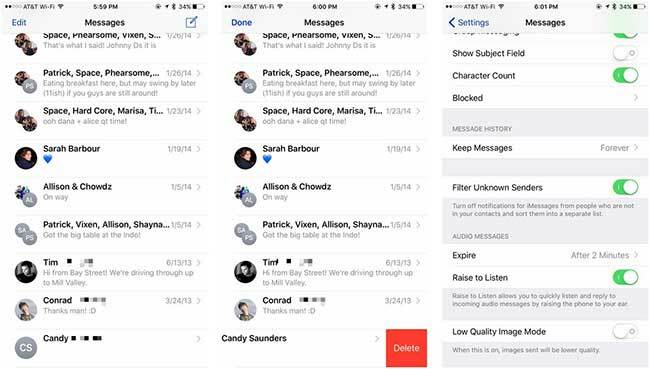 Since, your iOS device storage is already hogged up now, you have to delete the Message threads manually. 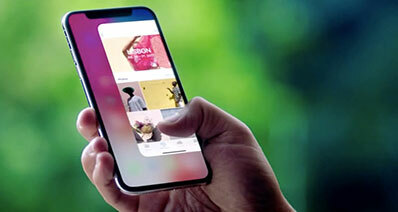 But yes, in future you can avoid such a situation by simply switching on the “Low Quality Image Mode” which highly compresses the size of the huge media files automatically and by setting the duration to keep the older messages, eventually, saving up a lot of your device’s storage space. Head to “Settings” app and scroll down to locate “Messages” and hit it. Tap on “Keep Messages” and select the preferred storage duration of the messages among the options of 30 days or a year. Now, scroll to the bottom and switch on the “Low Quality Image Mode”. Here is the best way to make space for iOS 11 update. 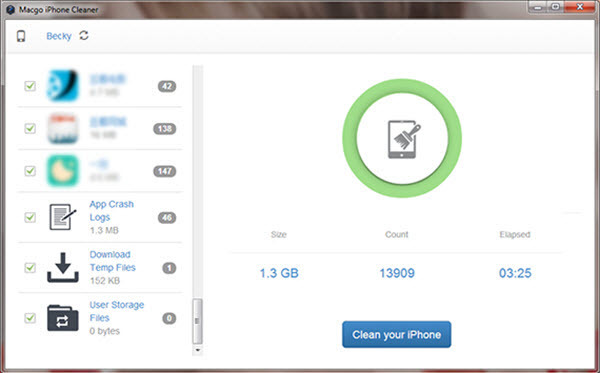 You can effortlessly delete the data selectively with the help of iSkysoft Toolbox – iOS Private Data Eraser. 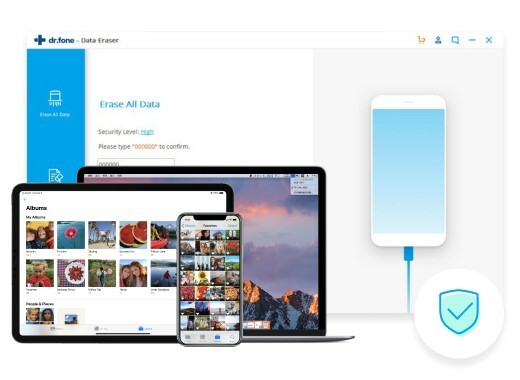 Using this tool is the most effective way to free up space in your iOS device since it is the most trusted tool and is believed to give the best results always. You can erase the data selectively and the data will be deleted permanently. You can delete data to prevent it from leaking or to release memory. This tool is fully secured and the data will not be able to recover again. It has full iOS devices compatibility. 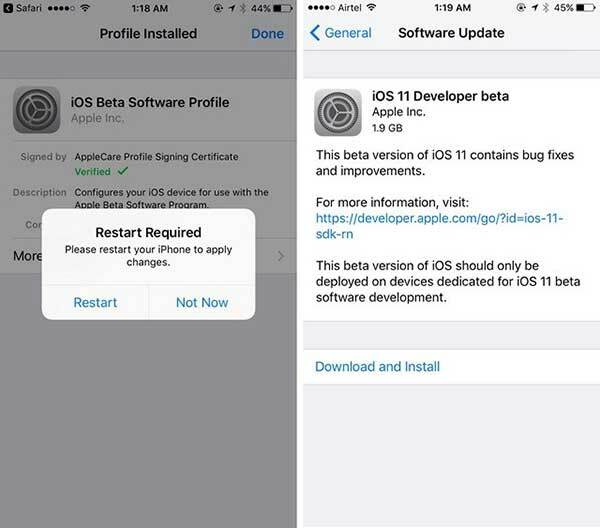 In other words, your iPhone/iPad/iPod device will be fully supported with this tool. 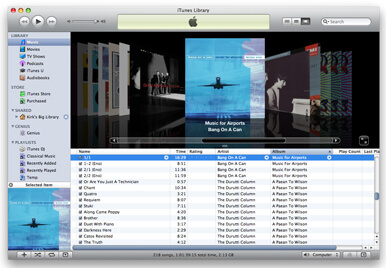 The tool is available for Mac and Windows PC and offers a free trial. Install the iSkysoft Toolbox after downloading it from the official website. Launch the toolbox and tap on “Private Data Eraser”. 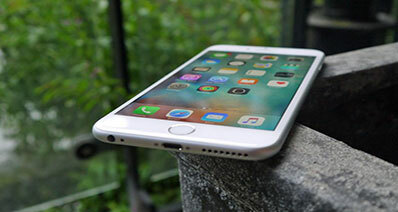 Now, make a connection between your iOS device and computer with the help of a lightening cable. 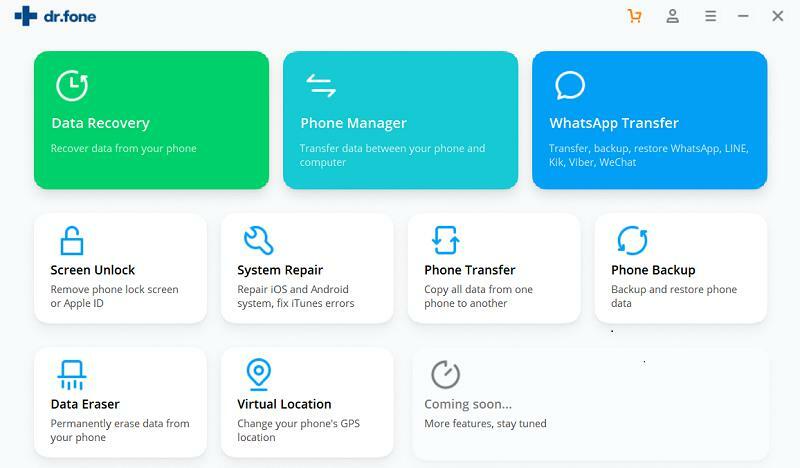 Soon as you connect your device, the toolbox will automatically detect it and subsequently, displays brief information about it. Hit on “Start Scan” and wait for the scan to complete. Meanwhile, the scanned data will be categorized and displayed on the screen. 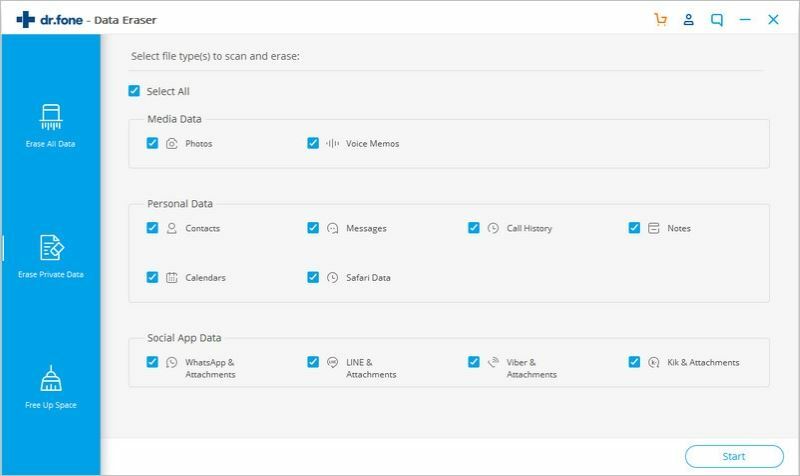 Lastly, you are required to select your Private data which you wish you clear safely and securely. 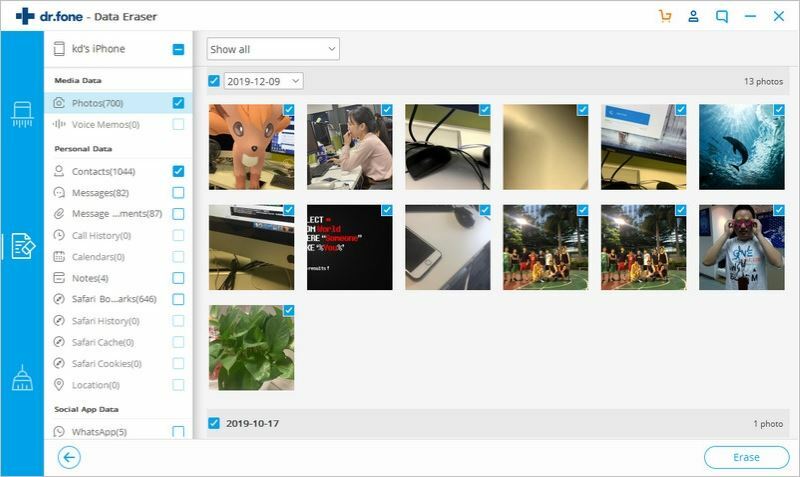 Simply, tap on the checkbox next to the displayed Photos or Contacts or Messages or Notes and hit “Erase from the Device” from the bottom right corner. To maintain optimum security, iSkysoft Toolbox – iOS Private Data Eraser cleans up data permanently, you are required to punch in “delete” when prompted to confirm the action and finally, hit “Delete” button. That’s about it, your data will then be successfully cleared.